Minister of Health Dr Chitalu Chilufya has announced that plans are underway to introduce the use of drones to deliver medicines to remote areas in Zambia. 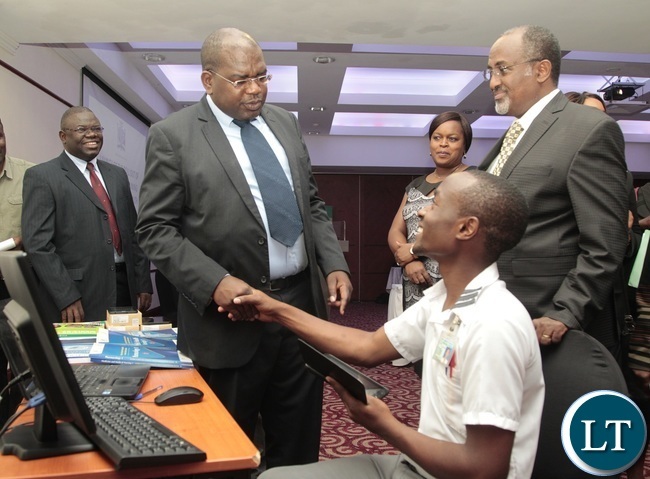 Dr Chilufya said Government through the Medical Stores is exploring ways of introducing drone technology to speed up the delivery of essential medicines and kits to rural areas. He said in an interview that Medical Stores is already using drones in inventory management but want to explore the use of this technology in managing the distribution chain. Tanzania and Rwanda are some of the countries in the region that have adopted the use of drone technology in drug supply. Meanwhile, The National Center for Global Health and Medicine of Japan and other entities are to launch a program using state-of-the-art drones manufactured in Japan to deliver medical supplies to hard-to-access areas of Zambia. The Tokyo-based center will use drones capable of covering long distances at high speeds in Zambia. It aims to improve the medical services in the country by flying medical products such as AIDS test kits to areas that are hard to access because of bad road conditions. This will be the first time Japanese drones will be used overseas for the purpose of medical support. Test flights are scheduled to be carried out in Zambia in April, and full-fledged operations to start at the end of the year. The center is to play a leading role in coordinating with the Zambian government, with financial support being provided by the Japan International Cooperation Agency. Sony Corp. group company Aerosense Inc. conducts surveys and other activities through the use of drones. The Tokyo-based firm, which will be in charge of the development and operation of the drones, is to transport medical supplies for a fee. Because of elevated HIV/AIDS infection rates — 13 percent in Zambia — the center started sending medical staff to the country in 2006. In contrast to urban areas such as Lusaka, it takes several days to send medical supplies to rural villages when roads are submerged during the rainy season. There are high hopes therefore for the use of drones to provide medical support. Aerosense’s top-of-the-line drone is 160 centimeters long by 220 centimeters wide, and weighs seven kilograms. It can take off and land vertically without a runway, carry packages weighing up to 1.5 kilograms and fly at a maximum speed of 130 kph. The plan calls for drones to be loaded with AIDS test kits and other medical supplies at large base hospitals. The drones will be preprogrammed with data about their destination, and fly for more than 10 minutes to villages dozens of kilometers away from the hospitals. Trained local staff at the destinations are to receive the packages, and the drones will transport blood and other samples from patients back to the base hospitals. The test flights will be conducted in Southern Province. The drones can currently fly for about 10 minutes, but Aerosense plans to improve the battery to extend that time to about one hour by the start of full-fledged operations. Drones that can fly more than one hour are regarded as weapons and are subject to export restrictions under the Wassenaar Arrangement, a global framework to control arms exports. Though Zambia is relatively safe, the center plans to maintain close supervision of drones so they are not sold to terrorists. The global market for drones is rapidly growing. One Chinese company is said to account for 70 percent of total global production of consumer drones in recent years, followed by Japanese companies. As there are almost no legal restrictions on drones in African nations, European and Chinese companies are also looking for a chance to enter the African market. A global framework on export controls for off-the-shelf commercial products that are linked to conventional arms. And how much is mealie meal today? All I will say is, they better be high altitude drones because if they start flying over near my house I will shoot their damn drones down. Here we go again. Billion of dollar Loans for drones which will be parked at a warehouse. There not even medicine to deliver. – where are 100s of RB mobile hospitals? – the PF Indian prefab 600 clinic project are abandoned. Fly for 10 minutes at 130 kph means covering a distance of 13 km. Which ‘hard-to-reach places in Zambia are 13 km away? This is encouraging news! watch for Drone poachers! hmmm, with Edward & his fellow perverts in PF they just might want to corrupt the ‘unmanned’ drones. Are we really serious? First it was installation of cameras on roads, now amidst problems of mealie meal availability and costing its drones! How much does one drone cost? What capacity is there to sustain drones? Basics are not even being met and the country is being rushed into technologies of no immediate importance to livelihood! Of course medicines should reach all corners of the country but leave it to the private sector to participate than using tax payer money on something government has no capacity to manage! I only hope there will be no accidents with the unseen drones “abaloshi or mfwiti” for they don’t have a radar system. Where is @House fly this is good news for him he needs to spread more diseases…. Drones is synonymous with war. Is the assumption that the Roads are inadequate or good enough. Kikiki, test flights to be done in southern province. Why? Okay. Good news. It will improve delivery time of medicines.Maybe our ECZ, can start thinking in the same lines for ballot papers and boxes, delivering using drones though ECZ are bad payers, I am told they have not even paid people whose vehicles were contracted for the last elections. Well done but don’t praise these PF guys quickly. Until you see something happen. Did we not vote on the premise of being cheated that load shedding was ending in 2016. They spoke of power from Mamba, they spoke of reducing load shedding from 4 to 2hrs and ending it completely in 2016. Nothing has happened, we still have paraphrasing And I feel so bad to see the same man who was lying hop from church to church. Oh my god,now they are completely mad.No food,no electricity,no medicine but drones,whats next? Question:How many kg’s can each dron carry @ a go…..
Nibu kabwalala fye bwekabwe Ba chimbwi imwe!!! In Zambia the problem is not delivery of the drugs, but availability. @ (LOL) Lots of loadshedding : You took the words right out of my mouth. We go and buy Drones to transport the medicine that is not there. We indeed are very wise. Except it will not be long before we find out the real reason why someone is in such a hurry to procure the drones. Our leaders must be very crazy if not mad! Let us invest time to consult before making careless pronouncements. Next you will hear them setting up a task force to find out if such a move was a good one. Stop playing to the gallery guys! We are not impressed with your chipantepante pronouncements! The Minister says drones are being used by Medical Stores in Inventory management. Just how are they using them???????????????? Let us get moving on ahead. “A bad deal is worse than no deal.” – UK Prime Minister today. Monze General Hospital to Namulundu Village, Chief Choongo (11Km) with drone landing pad and solar recharge system. Full drone route and inventory monitoring from Makwembo Internet Cafe, Monze CBD. It’s very easy to doubt what LT report at times. The drones can only fly for 10 minutes at 130km/h. They are just one and a half meters long and just over two meters wide. Each drone can carry a load of only 1.5kg. We all know how heavy medical supplies and kits are. To be effective, at least 50 drones have to be used for one mission or the same drone flying back and forth 50 times. Then they are being piloted in southern province. Hopefully not for surveillance reasons. Rwanda has been using drones to transport medical and agricultural products.Good start for now. Progress, get your safety hard hats on ! 160 cm long and 220 cm wide? They longer wide than long? Which length do they fly? The heading should read “” JICA,a Japanese company, is intending to use drone technology to help the Zambian Government that cant afford to buy itself a simple drone to supply medicine,because its drunken leaders ate & drunk all the money that was meant to build clinics in rural areas””. And they also tried mobile clinics on their own but to no avail.So this is why we as JICA feel that we ve to do something for them because they cant do anything for themselves. Thankyou!